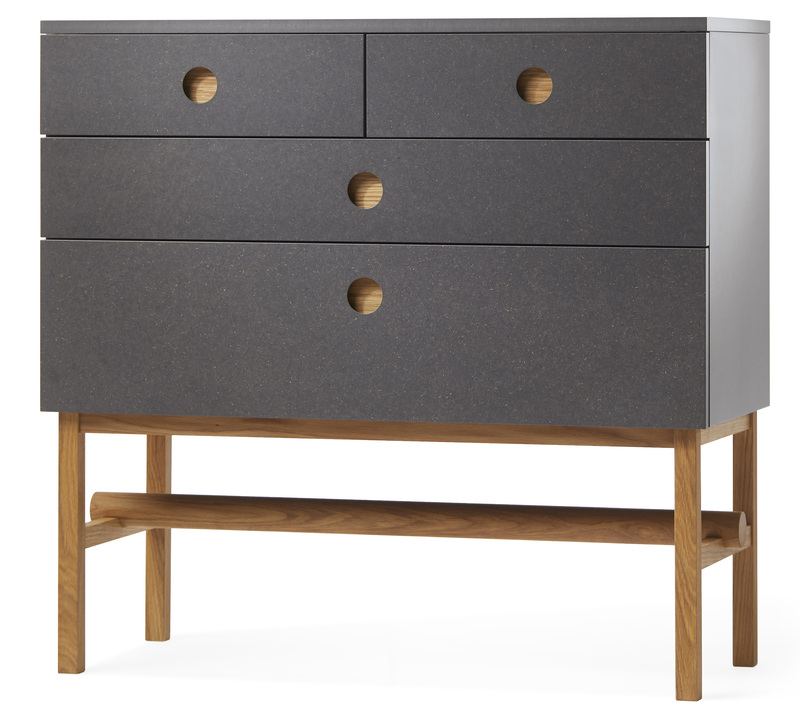 Keep is an elegant chest of drawers with a beautiful oak frame. 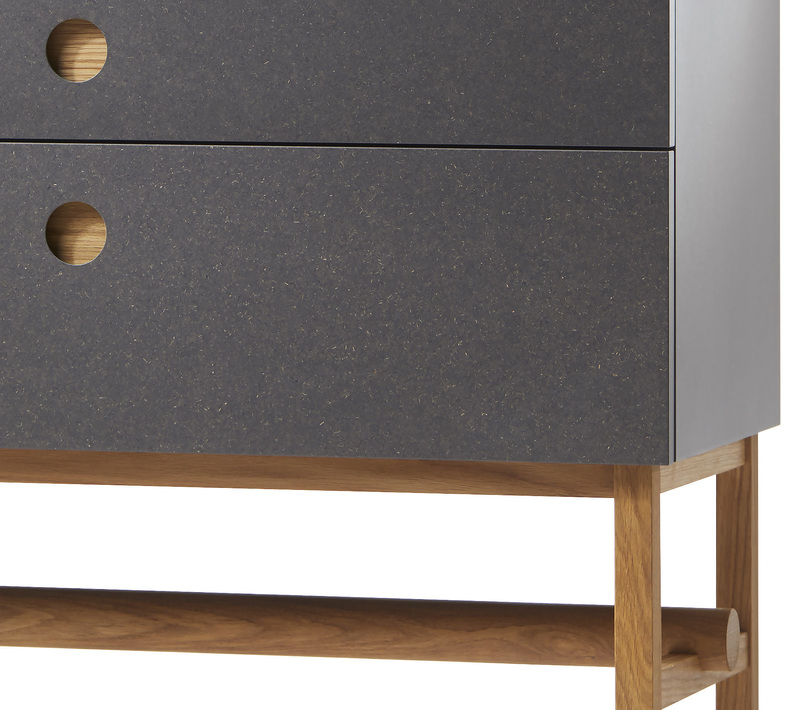 Its height gives it an airy character and the fine details of the grips, in oak, create a pleasant design. 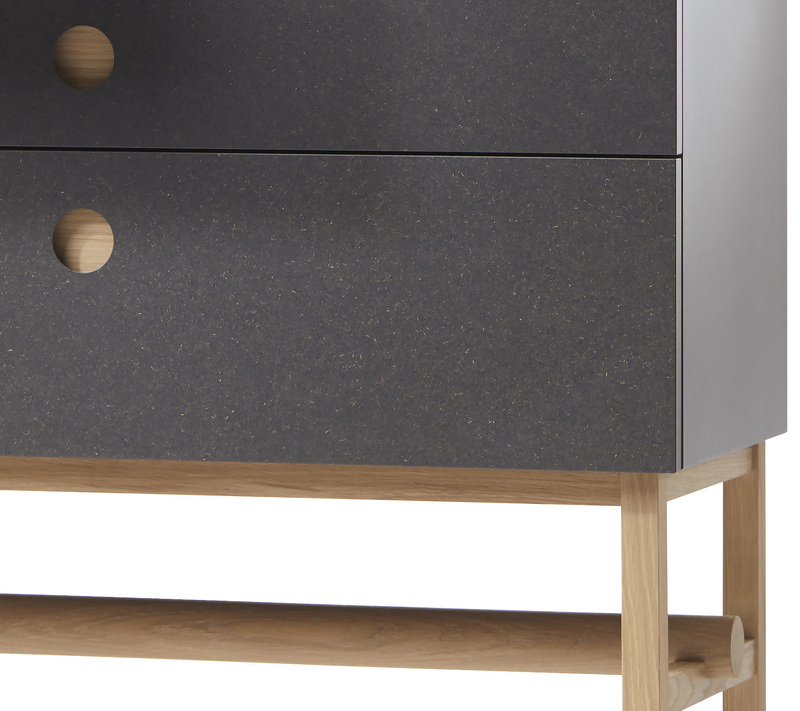 Its originality also comes from its material: the MDF Valchromat. True evolution of standard MDF, Valchromat is stained in the mass, and its manufacturing process makes it more stable, more resistant (shocks, humidity) and easier to take care of. We can see on its surface, in greater or lesser quantity, small wood fibers – which have not absorbed organic dyes – a feature which gives it its unique and natural appearance. 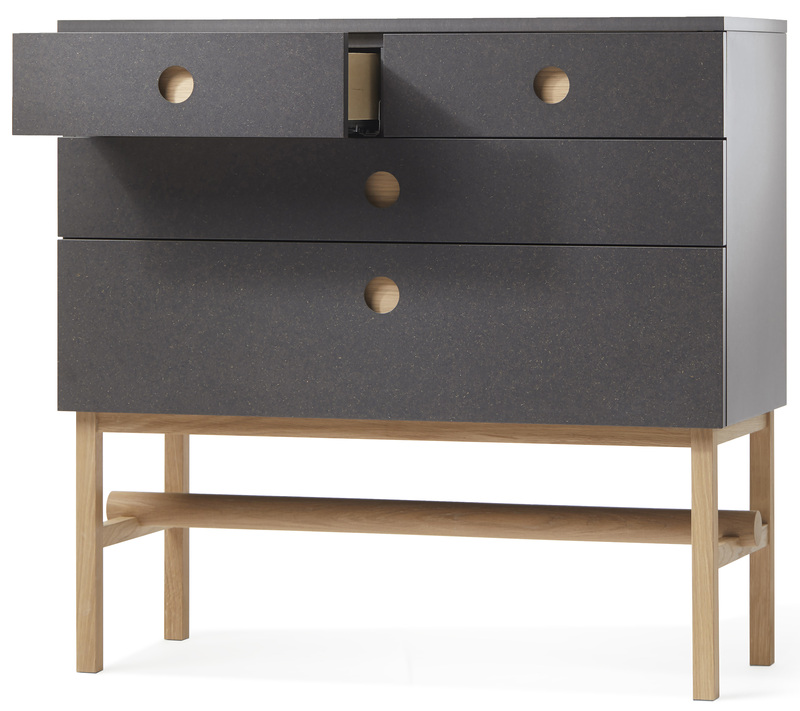 Keep is a timeless piece of furniture that will find its place in a living room, bedroom or hallway.